In this post called 10 ways to prevent cancer, it is my mission to educate you about cancer and effective approaches in prevention that you don’t hear from conventional doctors. There are two things every person needs to understand and that is, 1) cancer is an industry that makes billions of dollars every year and 2) only our immune system will heal us of cancer. It is extremely rare that you will hear any of the information from the doctors, researchers, survivors, and experts in cancer I have on this website, from conventional oncologists. Why? Because the pharmaceutical companies control what is taught in medical schools. The companies and organizations that make mountains of money every year from cancer don’t want anything to disrupt their profits. This is why nutrition and lifestyle habits in the prevention of disease are not taught in medical schools, especially here in the west. If you are looking for ways to eliminate your risk of cancer, you need to start with what you put in and on your body, in addition to what you expose yourself to. Obviously you will not be able to control everything but you can severely minimize your risk factors. Being that I had cancer back in 2000 and was completely healed with the use of an all-natural process I was able to purchase online at Amazon and at one of the many organic produce markets in my area, I know firsthand that cancer cannot only be stopped but it can largely be prevented. Even AAPS (American Association of Pharmaceutical Scientists) said that 90-95 percent of cancers can be traced to poor diet and lifestyle habits. Seeing how we have nearly total control of what we expose our bodies to on a daily basis, then we are in a great position to prevent cancer from becoming a problem in our lives. There are many doctors and researches featured here on this website which confirm the message I tell any of my friends and family that ask me, is that cancer is a disease of a compromised immune system. A strong immune system prevents cancer. So logic should then tell you that in order to treat cancer you need to fix and increase the strength of the immune system. Being that it is the only thing that will prevent us from getting cancer and eventually healing us if we are diagnosed, any treatment that strengthens the immune system is a great anti-cancer treatment. This stands to reason that anything like sugar that breaks down immunity will help cancer grow. There are definitely many more ways than 10 to prevent cancer but I am going to list 10 easy and inexpensive ways you can do right now. These are ways I used when I had cancer at the direction of my then doctor and that I largely still do today. All of these are all-natural and you do not have to go someplace special for these. Even your physician can help you with a couple of them like mine does. Get your doctor to perform a simple blood test called a 25(OH)D or a 25-Hydroxy Vitamin D test. Optimal blood levels should be 50-70 ng/mL of vitamin D3. Until you get the blood test, taking 5,000 IU of vitamin D3 per day is a perfect maintenance dose. The blood test will determine how much more you may need. Spending 30 minutes in the sun produces between 20,000-30,000 IU so 5,000 IU would be a great start but it must be vitamin D3, which is what the body uses. Buy a juicer and juice your vegetables. One of the best anti-cancer juices I drank 3 times a week was one pound of carrots, a big handful of spinach, a half inch slice of ginger root and a half an apple, skin and all. Avoid using toxic perfumes, colognes, creams, deodorant, soaps and sunscreen. The best natural sunscreen is eating either tomato paste or pure tomato sauce. Only use sunscreen if you intend to lay out in the sun for getting a tan. There are so many easy and prudent things one can do to minimize the risk of cancer that are not mentioned above, but basically anything that boosts your immune system and does not break it down is what you should be focusing on. Seeing how we are all producing cancer cells in our bodies every single day and are not diagnosed, should logically tell you that your immune system is keeping you cancer free. I believe that God created a wonderfully complex and self-regulating body that when kept strong though natural means will keep us healthy for the long haul. But if we keep doing things to ourselves that undermine the natural ways everything synergistically works in our body, when disease comes calling we can most times figure out why it has happened. The solution in most cases is to reverse what was done. Fortunately God has given us many different natural weapons in the form of food. Another great thing to consider is that most of these natural weapons have benefits for multiple diseases. Earlier in the 10 ways listed above I mentioned that you should juice your vegetables. But when it comes to fruits you should eat them instead because you will get the benefits of fiber. The standard care for cancer with the use of “cancer causing” drugs like chemotherapy and radiation started in 1901 for radiation and in the early 1940s for chemotherapy. It amazes me that people would opt to subject their bodies to these carcinogenic treatments to get rid of cancer. Where is the logic in poisoning yourself to make yourself well? The problem is most people do not care to find a better way. But if people would just take into consideration the 10 ways to prevent cancer that I listed above, they could avoid most of the pain, sickness and suffering that conventional cancer treatments cause. Remember, it is not cancer that makes you weak, lose color and your hair. That is all a result of the poisons a cancer patient allows to be put into them. A majority of cancer patients do not die of cancer but from the treatments. Don’t make your cancer treatment decisions out of fear. Be informed about the facts on cancer and the benefits of naturally strengthening your only solution for being cancer free, which is your immune system. If you believe in God then trust in his solution to everything from the flu to cancer, and keep your immune system naturally strong. – If you found this information helpful, please share it or leave your comments below. What about Vitamin C? I read somewhere that high dosage of Vit C fights cancer too. 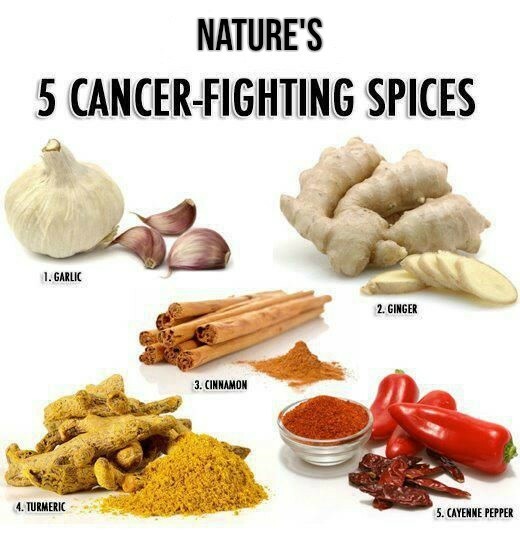 Maybe cause it boost the immune system so the system itself takes care of cancer…. Vitamin C at high dosages does fight some cancers BUT you can ONLY do this via an IV of Vitamin C. It is absolutely impossible, and not recommended, to take high doses of vitamin C by way of swallowing the vitamin. It will not do much for the cancer and it will make you sick to your stomach and will give you bad diarrhea. Only high dose Vitamin C via an IV will fight cancer. Thank you very much for such important information that helps many people to prevent cancer. God bless you! Thank you Claudio! I hope that God will bless those who read this information before he blesses me. That is one of the goals of this website, to have this life-saving information bless the health and lives of those who read it and share it. Like one of my mentors used to say “Garbage In Garbage Out” So Healthy Food In Healthy Life Out. Thanks for sharing these precious informations and for these easy to use suggestions. i did add those to my groceries list and weekly habits. Another good saying is, “You are what you eat.” With all of the CRAP we are exposed to eating on a daily basis – and yes, even I have fallen victim of it – your body will eventually give out if you do not equally balance it with a healthy lifestyle. Having read just a small portion of your website I just want to say that whenever you mention the word cancer I am thinking arthritis. Obviously I have arthritis and I am wondering if my thinking is right, and will the exact same approach (ie clean up my food intake) reveal a similar answer to the pain and frustration I feel with this disease. I certainly don’t like Western Medicines approach as all they are doing right now is “trying to manage the pain and condition” and I can tell you it is not working. Interested in your reply, and I love your approach here as well as I enjoy the training you provide at WA. Sorry Steve for my late reply. YES. Much of the same all-natural approach to treating cancer will do wonders for your arthritis. One spice in particular which is well researched and proven effective against both cancer and arthritis is Turmeric. It has been used for centuries and has an awesome track record for its anti-inflamation and anti-tumor properties. Turmeric can be found in all kinds of curry. It is not spicy. It is a phytochemical which gives curry its golden yellow color. If you do not like the taste of curry you can take Turmeric in pill form. I take Turmeric supplements on a daily basis as well as eat curried foods. It is very inexpensive, highly effective after taking it daily for about a month, and it is very safe with many other proven benefits. My sister-in-law has been diagnosed with lung cancer. I have directed them to your very informative site here. Thank you for making this available. I need to take more of your advice for myself. It’s simple and clear. I was almost talked into getting a flu shot, but I read your take on that and have been following the three free steps to prevent the flu. So far I am flu free. Thank you again. You are welcome Judy and I pray that the information I have shared here on this website will help to put the mind of your sister-in-law at ease. Cancer can be cured. It just requires a new way of thinking, by using the cure we were all born with by strengthening it through natural means, and changing our diet and lifestyle habits. For many that can be a hard change but the other options have too many negative and deadly side effects. Love this article, so good that I am going to read all of your website. I totally agree with everything you say, Pharmaceutical companies have far too much power, in that they teach the doctors and the dieticians all that they know. Thank you Steph for your comment and please come back and share this with others. In the coming weeks I will be adding more content and dozens of videos from both cancer doctors and researchers as well as cancer survivors who were completely healed the all-natural way. I will also be posting a video telling a story about how the pharmaceutical companies started this whole for-profit medicine industry and why we need to go back to the way that has worked for thousands of years. Here’s an excerpt from one of the Cancer articles on my website. Don’t Smoke, Eat Healthy and Exercise. Yeah, pretty much. Go back to the way your grandparents ate and took care of themselves. The Natural Way! Stop Poisoning Yourself! Well, that’s wonderful, and you thought they ACS didn’t care about preventing Cancer. They don’t mind giving you the answer because they’re pretty darn sure you’re not going to do it. No matter how EZ it is. Without Nutrition, you’re fighting a war with no weapons. This is true Phil but even though the ACS has said this, people will not even entertain doing this without their doctors telling them and that is one of the biggest problem. People rely too much on what their doctors tell them to do and do not take the logical approach and also follow a lifestyle like what the ACS implied. Another big problem is that the majority of the once very healthy diet of fruits and vegetables have now been contaminated by the scourge of GMO crops, which have been clinically shown to cause cancer after long periods of consumption. This is yet one of the reasons that cancer is on the rise. So now people have to not only eat healthy, not smoke, and exercise, but they need to take supplements to make up for the lack of nutrients in our now genetically modified foods. You are welcome Lynne. Consuming tomato paste and pure tomato sauce is a good source of Lycopene, a powerful anti-cancer plant chemical compound. Sunscreen on the other hand contain man made petrochemicals that actually cause cancer with continued use. Another thing to consider is that when using sunscreen you are also blocking another anti-cancer antioxidant of Vitamin D. This is vital to prevent and treat cancer. Sunscreen should only be used if you intend to go out and be exposed to direct sunlight for hours at a time during the spring and summer months. During the fall and winter months the sun’s angle to the earth does not produce dangerous UVB rays. This is another reason why people are deficient in Vitamin D levels during this time of the year and why many get sick or the flu. By consuming more pure tomato products, avoiding processed sugar, take supplements like Vitamin D3, Lycopene and other anti-cancer antioxidants, will help people in prevention. I totaly agree since i have been taking supplements i feel a lot better and have more energy.If you feel better a persons over all health is bound to be better. Supplements are very important because it is close to impossible to get the nutrition necessary from just eating the nutrient depleted crops of today. But this does not mean you should stop eating fruits, vegetables and herbs. Supplements are exactly what its name applies, they supplement the nutrition the body needs to operate in a more healthy and wellness state. Thank you Tom for sharing your knowledge as well. Food plays a very big part to getting cancer, if you consume the wrong kinds – which there are more of than healthy. 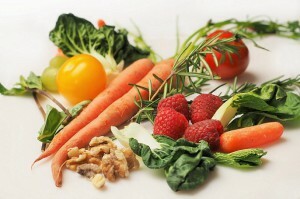 But the correct wholesome and natural foods will also fight and even prevent cancer. Changing my diet was one of the treatments I used to heal me totally of my cancer. If not for the help of Dr.Isai I would have been dead by now. I was diagnose of Cancer few years ago and i was told by my Medical Doctor that i won’t live long anymore. i was so confused, But to God be the glory i came across A friend who was cured from Herpes by Same Dr.Isai so he directed me to Dr.Isai. Speaking with Dr.Isai he told me he was going to prepare for me a herbal medicine that will cure me within 1 month which i agreed on, So he prepared and send the medicine to me, which i started taking the medicine immediately i received it. So after 1 month, i finished the medicine and he asked me to go for test again, hopefully i went for the medical test, and Behold my result came out negative I was totally cured from Cancer by Dr.Isai. He is legit and his medicine work fast without any side effect. Praise the Lord Melisa! There are many ways to be completely healed of cancer because ONLY your own body’s immune system can kill the cancer. Though your doctor prepared you some herbal medicine, it was not the herbal medicine that cured you. It was your immune system and how it became activated and empowered because of the herbal medicine. My cancer doctor told me that anything natural that can energize the immune system as a great anti-cancer treatment.